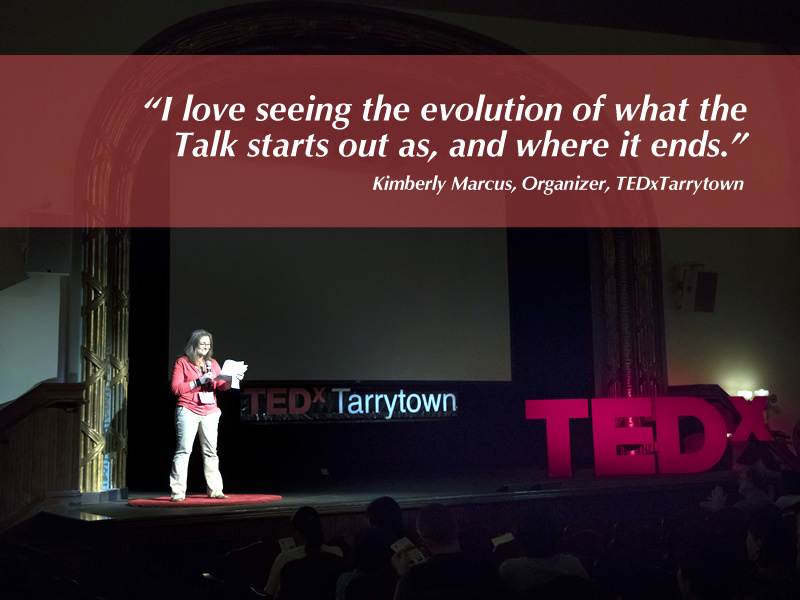 Kimberly Marcus traveled the path to the Red Circle first as a speaker then made her way to Organizer of TEDxTarrytown in 2017. She made the trek to TEDFest in Brooklyn to remove the population cap off her event. She went to Brooks Institute (originally here in Santa Barbara) to study photography and moved to the east coast in 1987, where she's an aspiring children's book author. If you're not familiar with Tarrytown, it's one of the river towns along the Hudson River, north of New York City. If you're familiar with the Legend of Sleepy Hollow, then you know where Tarrytown is. Tarrytown is a very diverse community in gender, race, and age. Kimberly feels that showcasing this diversity in the Talks is important. It's a small town of 15,000 people and she mentions that the 78 people who applied for 5 spots generated humbling and heartwarming conversations. When I asked what her biggest surprise was, she said, "I was surprised that it all worked." Spoken like a true first timer. We recorded this episode before she produced her second event in November 2018, and we're pretty sure it went great. She started as a TEDx speaker at TEDxTarrytown in 2016, then went to TEDFest twice to remove the population cap. She invites the speakers to her home to practice. Wow. I was surprised that it all worked! And that the firehorn in the theater didn’t go off – apparently it’s famous for doing that. The challenge was doing the most of the organizing for her event in the Summer when people were gone. Join the Facebook Group, be sure you’re on the Hub and listen to this podcast. Everything. Getting two done is exciting.